Studio boardroom tables, stylish Italian boardroom table featuring a 40mm top and stylish EPC finished legs, available in a range of finishes and sizes the studio boardroom tables offer a mix of traditional grandeur and modern style, coupled with our free standard delivery. 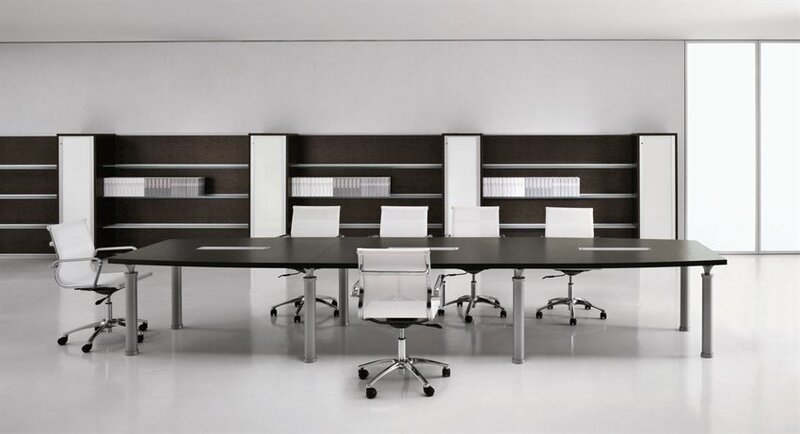 The studio boardroom tables are available in a range of laminate and veneer finishes, and come with a matching range of executive furniture and storage which enables you to create a unified boardroom design or extend the style and quality of the studio boardroom table into your executive offices. To complement our range of studio boardroom tables and executive furniture, we offer a free design and space planning service, our in house team will take your brief and produce plans and 3D visuals to show how your new boardroom will look, whilst all the time working within your budget and space constraints. 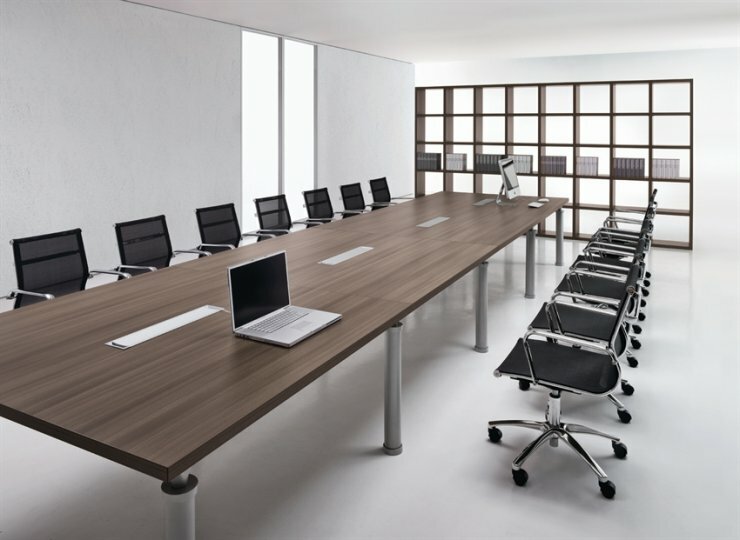 Contact our team today for more information or browse our range of boardroom tables.